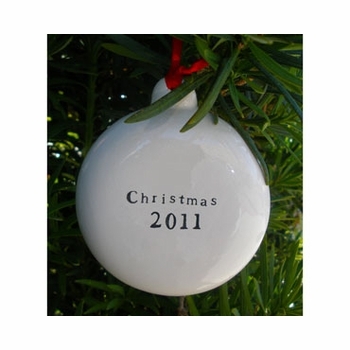 MUST BE ORDERED BY 12/5 FOR GROUND SHIPPING. 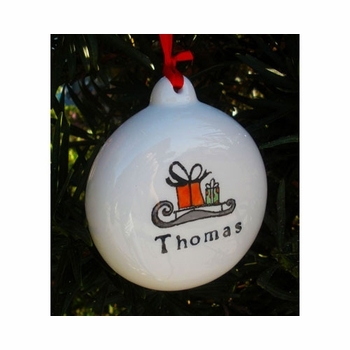 AFTER 12/5, PLEASE SELECT EXPEDITED SHIPPING TO GUARANTEE HOLIDAY DELIVERY This personalized Santa's sled ornament is perfect for a child of any age. 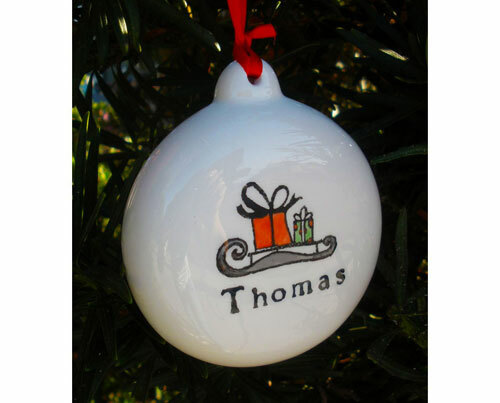 They will smile with delight when they see this ornament hanging on the tree bearing their name giving them a gentle reminder of the gifts to come. 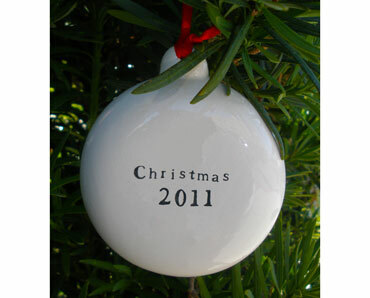 Each ornament is personalized with child's first name on the front and on the reverse is the year of choice. 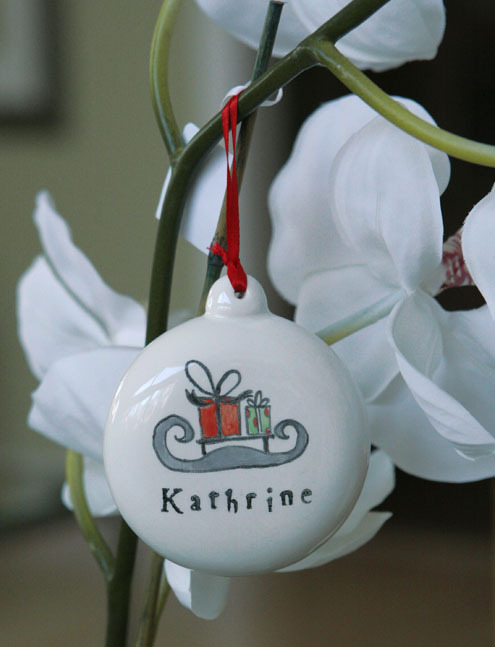 Commemorate this holiday season with a special keepsake for a treasured little one!